Hello everyone! I’ve seen a few comments recently asking “What’s the most expensive Invicta watch available?” that’s why today I wanted to look into the subject and showcase their most expensive watch, and question if and why you should consider buying it. I’ve featured Invicta watches quite a few times in the past. They’re a brand I often like to feature because they primarily focus on affordable timepieces, and offer quite a huge range to pick from too. I often refer to Invicta watches as a bit of a marmite brand, in my opinion, you either love them or you hate them. That being said, whilst I’m happy to wear one of their affordable timepieces and feel they offer value for money, I wouldn’t go ahead and buy an expensive one. Invicta doesn’t seem to be afraid of trying to compete with high end Swiss watch manufacturers, the likes of Rolex watches and other expensive watch brands. It’s a bit of an odd battle to go for if you ask me. Invicta just isn’t the type of brand I could look at and be happy spending thousands on a watch for. You can read my full Invicta watches review here. Invicta’s most expensive watch comes from their popular Reserve Collection. It’s an impressive looking Swiss made timepiece that’s powered by very good Swiss made automatic Sellita SW500 movement. On the face of things, this is a well-built Invicta timepiece. You can’t deny the quality of a Sellita SW500 movement. The 300m water resistance rating is a quality many people would be happy with. But it’s still a little difficult to justify the price of this timepiece. 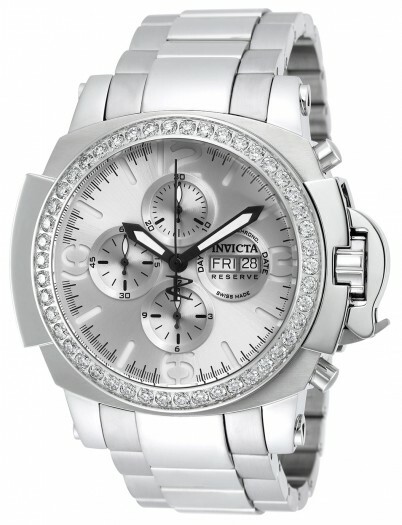 The Invicta 18707 is the most expensive Invicta watch currently available going by information from Invicta’s own website. The suggested selling price of the most expensive Invicta watch is $23,000. That’s a hell of a lot of money right? And if I were spending that much, you can be sure I’d be going for a more luxurious brand myself. So what makes the Invicta 18707 so expensive? Let’s take a look at the timepiece in more detail below. This is the most expensive Invicta watch, the Invicta Reserve model 18707. The casing of this watch is made of stainless steel and has a casing diameter of 48mm which makes it a large oversized watch. The bezel of this timepiece is likely the main cause of such an expensive price tag, it features 46 diamonds that are 2.5mm in diameter. Protecting the front of the watch is a flame fusion mineral crystal glass. This is a specially hardened mineral glass that’s resistant to scratches and shattering. It’s commonly found on Invicta watches. The strap of this timepiece is also made of stainless steel with a width of 26mm (perfect for the larger casing size) and fastens with a butterfly style push button release clasp. Extra features include a coating of Super Luminova on the hands for excellent visibility in dim lit conditions. There’s also a day and date display as well as an impressive 300m water resistance rating. At the heart of the watch is a Sellita SW500 movement. This is a Swiss made 25 jewel movement that’s found in many high end watches. This movement beats at 28,800 BPH which gives the timepiece a very smooth sweeping seconds hand. Is It Possible To Find This Watch Cheaper? That being said, do you really want to spend thousands on an Invicta watch? 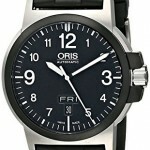 As I mentioned earlier on, I’m a big fan of their affordable timepieces. 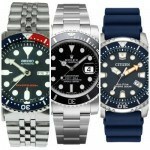 The Invicta Pro Diver collection has a huge range of watches that offer brilliant value for money. I just don’t think I could ever go for a watch so expensive from this brand. Whether you go for it or not is entirely up to you. You can view the full details of the Invicta 18707 on Invicta’s website.